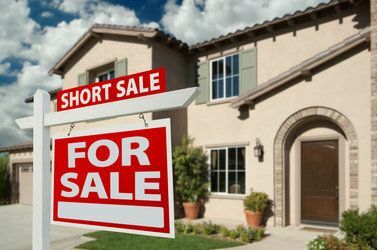 You’ve probably heard the term short sale before, when buying a short sale home buyers must be aware of certain things. Before we get into this article on buying a short sale home lets first discuss what a short sale is. In very few words, a short sale is where a seller will sell their home for less than whats owed on their mortgage. Selling the home short of whats actually due on their mortgage balance thus the term “Short Sale”, for more information on short sales check out our article Can’t Pay Your Mortgage Payment? Buyers choosing to purchase a short sale home often will see some great discounts, however along with those savings come patience because short sale transactions can literally take months to complete. The shortest short sale transaction I’ve seen is 45 days in escrow but typically the average is 90 days or more. The longest short sale transaction I’ve seen lasted 6 months! Buying a Short Sale Home – 6 Tips for Success! Hire a Realtor that has short sale experience – All real estate agents can assist you in buying a home but this is not a typical home purchase. Short sales are a very bumpy roller coaster and as a buyer you’ll likely want to get off the LONG ride a couple of times during the transaction. Just remember you decided on this house for a reason and at the end of the day it will all payoff. Realtors with short sale experience know this is typical and know how to address many of the issues that cause delays. When hiring a short sale real estate agent ask the agent how many short sale buyers they’ve represented in total and how many of those actually did sell. Be confident in your short sale team – Providing you’ve hired an agent with short sale experience then you’re probably going to be in good hands. More than just the experience of an agent is needed when closing a short sale transaction. The escrow officer and any team members on the real estate agents team will also need to be up to par with short sales as there are many moving parts with the bank that need to be dealt with. Equally as important as the team that’s representing you the buyer, the sellers team also needs to be very well versed in the short sale process. One of those items that a sellers agent will need to negotiate with the bank is the loan versus the offer, after all the bank will likely be losing thousands of dollars so you’ll want to discuss the strengths of the listing agent with your agent. Don’t pay too much – When a home is being sold as a short sale, the price will likely represent that. Many times short sale homes are priced well under market value to gain the interest of buyers and get offers from potential buyers in a short time. After all a sellers agent cannot even start to negotiate a short sale with the bank until an offer is actually received. With that being said it may cause a bit of a frenzy for buyers. Have a prior discussion with your agent before submitting any offers and let your agent do the appropriate homework, things like; are there offers on the property and if so how many? Will the seller ask for highest and best? Questions like these will greatly help you know what you’re up against and may save you some grief in the end. There will be delays – There are two approval stages in buying a short sale home. First off the sellers must agree to your offer and secondly, your seller accepted offer then goes to the bank for final short sale approval. Obviously the bank will want to limit their losses as much as possible so like previously stated you might get a discount but buyers looking for a steal of a deal might be just wasting their time. Refer to your agent for guidance and advice on what the fair market value is of the property which will help you make an educated offer on the property you’re interested in buying. Once your offer is submitted to the bank for approval, the bank may approve, reject or counter your offer. Make sure your financing is in order – As with buying any home, buyers will want to make sure their financing is solid and ready to go. Make sure you’re preapproved and have a preapproval letter from your lender so you can submit it along with your offer. If you’re also putting a large down-payment down then make sure to note that on the offer as well. Sellers will want to see this information as a buyer with strong lending and money to put down is a stronger deal than someone that’s a first time buyer with little to no money down. Make your offer as clean as possible – Sellers and the banks don’t want to deal with the hassle of repairs or other items buyer typically ask for in a California Residential Purchase Agreement. Make your offer clean and remove as many contingencies as possible. For instance instead of the typical 17 day inspection period, maybe opt for 10 days or provide an increased deposit a certain number of days into the transaction. These are things that can help strengthen your offer and if you’re going up against multiple offers it might just be what you need to get your deal accepted! Buying a Short Sale Home Tip: Make sure your Realtor writes the contract properly; seller approval and bank approval are very different. You’ll want to your contractual timelines to begin upon bank short sale approval not seller acceptance. Once the seller and bank have fully approved your offer then you can begin your inspections. Of course you can do inspections beforehand but this might just be throwing money away if the bank doesn’t approve your offer. Keep in mind if your offer is clean you’re probably buying the short sale home in as-is condition so you’ll want to make sure you have the proper inspections completed to ensure the home is in the condition you’re expecting. For more information on buying a short sale home, please contact us or leave a comment below. We’d appreciate the opportunity to assist you!